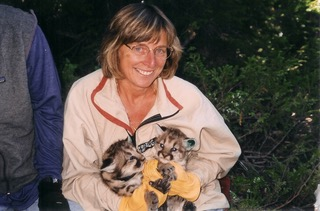 Dr. Quigley earned an undergraduate BS degree in Natural Sciences from the University of Alaska in 1978, and earned her Doctor of Veterinary Medicine degree in 1983 from Washington State University. She spent her childhood years in California, but left when she was 18 years old, and has lived in a variety of places since then including Colorado, Maryland, Virginia, Montana, Alaska, Idaho and Germany. Dr. Quigley’s veterinary career has been quite varied. She has owned and operated a small animal practice in Moscow, Idaho, worked as a clinician in a small animal AAHA practice in western Maryland, and presently owns the Foothills Veterinary Hospital, a full service AAHA accredited facility in Bozeman, Montana. Dr. Quigley has also traveled to multiple developing countries, including Honduras, Costa Rica, and Cuba, to assist local veterinarians with spay & neuter events and general animal care. In addition, Dr. Quigley spent 14 years as the staff veterinarian for a nonprofit organization called the Hornocker Wildlife Institute, where she was their lead field veterinarian. 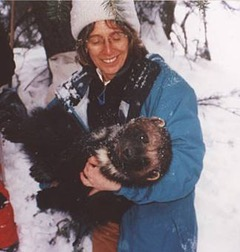 In that position she monitored the health status and disease threats for wild carnivore populations including Siberian tigers, Asiatic black bears, and brown bears in the Russian Far East, and cougars, wolverines, black bears and Swift fox in North America. She also supervised all immobilization training for all of the Insititue’s field biologists – American and Russian – as well as Russian veterinary students, Russian veterinarians, and Rssian anti poaching personnell. 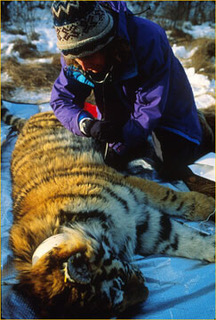 The curriculum focused on how to safely capture, immobilize, radio collar, collect biologic samples and release wild carnivores. Dr. Quigley has one daughter, Allyson, who is presently completing her first year in veterinary school at Washington State University. The rest of the family consists of two dogs – Madi and Piper, two cats – Jasper and Timone, and two horses – Dancer and her young colt Sun Dance. In her spare time, Dr. Quigley loves hiking, running in the woods, dancing, listening to music and traveling. She has also written and published a children’s book.